When I first think of the term industrial kitchens, I think of something cold and purely functional. However, there is another look that is more rustic and chic. 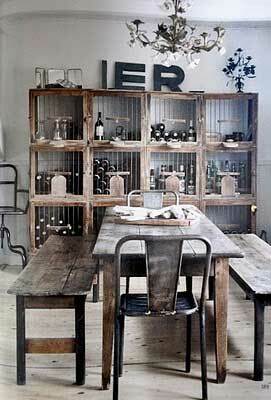 Industrial chic kitchens use a combination of metal and vintage or rustic elements. This gives a kitchen more warmth than a sterile brand new industrial environment. 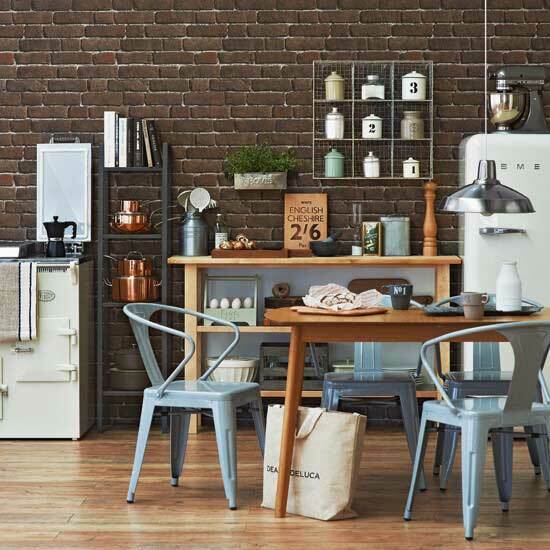 I have put together a collection of some kitchen designs that use this combination of metal and other vintage industrial items that add a lot of character to the spaces making them chic and inviting. This kitchen is basically the definition of industrial chic. The white and airy cabinetry, with open shelving for vintage collectibles, keeps the kitchen warm and chic while the industrial lighting and stools enhance the look and add a ton of character. Here is another industrial look that is warmed up with the wood floors and some rustic accessories like the basket and wooden box. I’m not sure if the ladder stays in the middle of the room but it doesn’t really look too much out of place in the room! 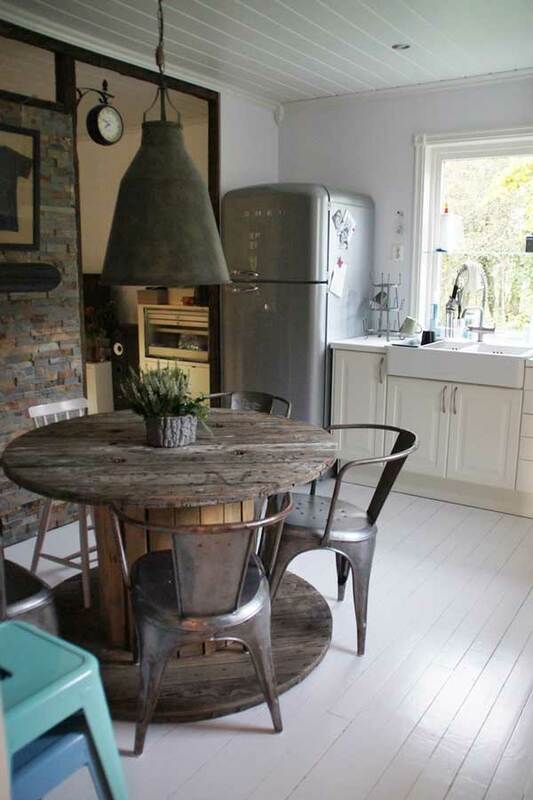 This kitchen also has a great combination of rustic, vintage and industrial. Brick has a fantastic way of warming up a room. Check out my post on How To Install A Brick Wall In The Interior Of Your Home to easily get this look. 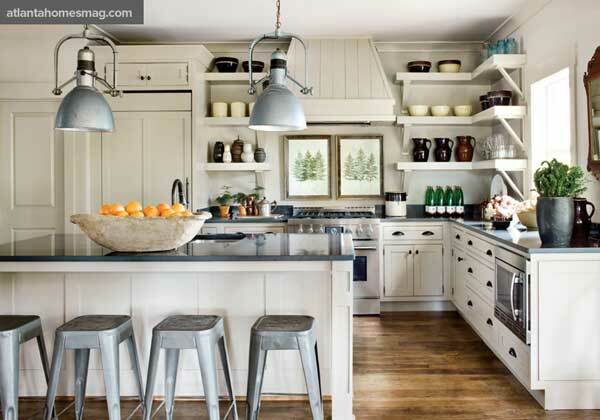 Here is a kitchen that is more heavy on the rustic with a touch of chic in the lighting and industrial in the seats. 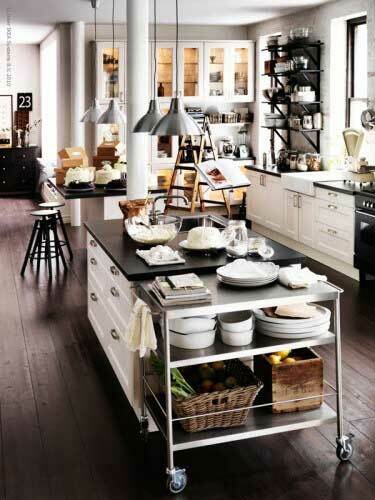 And finally, here is a fantastic industrial chic kitchen with all of my favorite elements. The table is super unique and budget friendly.